I've been frantically trying to get my bee blocks done early this month. I have a few other projects that need finished up, but they were all on hold for a couple days waiting on fabric in the mail. That was the perfect time to get all of these done for the month. 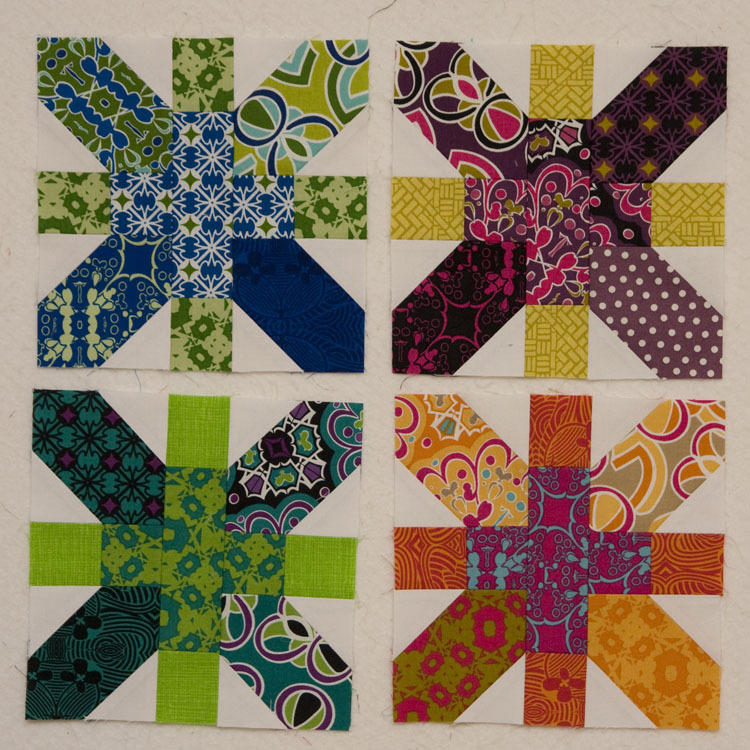 First up are some blocks made from this tutorial over at badskirt. A couple weeks ago I received a fun little charm pack of Cosmic Burst from Mark Cesarik. 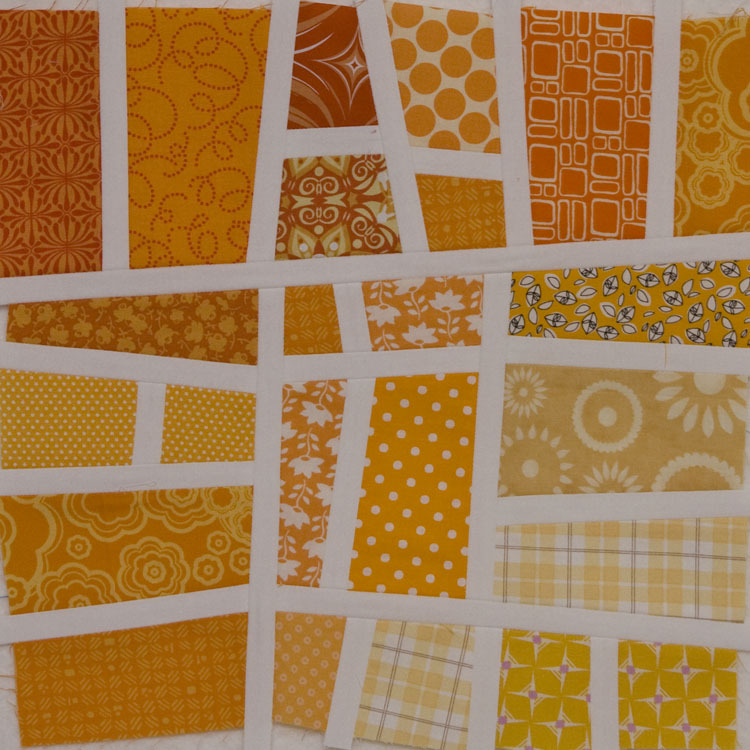 These blocks are for a scrappy charity quilt with our guild. I thought the Cosmic Burst charms would be perfect for this X-block. 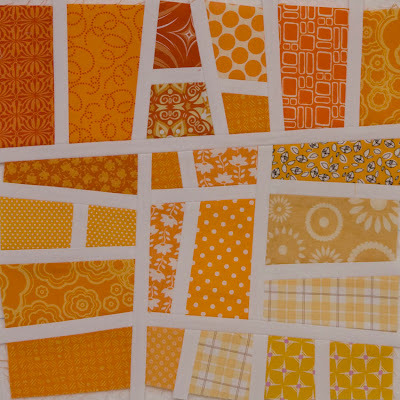 The fabrics are so bright and fun. I especially love the top left block with the blues and greens. 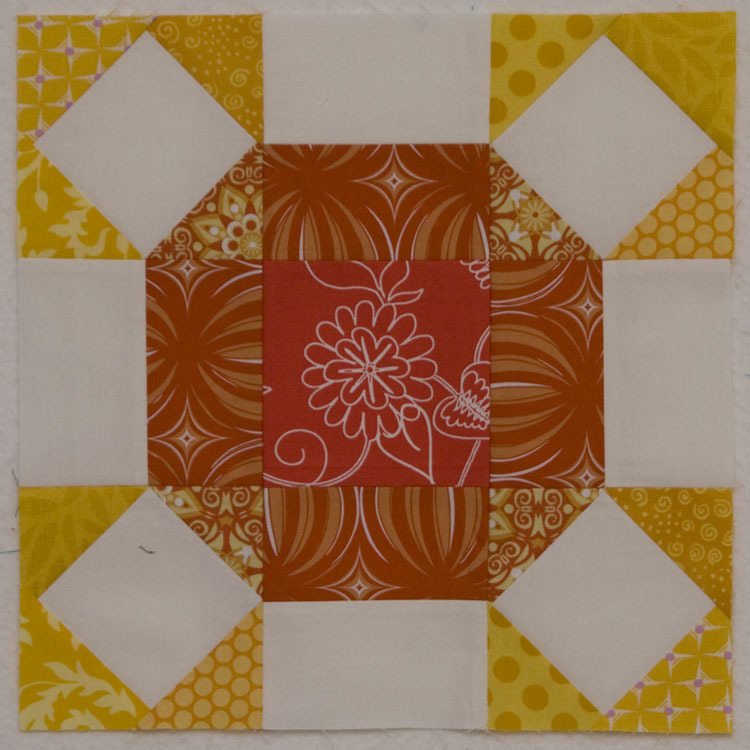 Next up is a block for Andrea in our local guild bee. Next is a block for Elizabeth in our Stash Trad Bee. She posted a tutorial for this block. Her quilt will alternate warm and cool blocks. I chose warm. It came together quite easily with her directions. 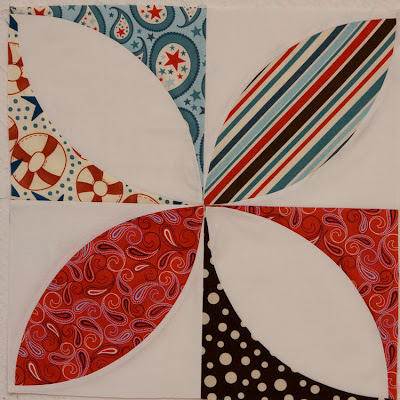 Next is a block for Brooke using the tutorial on Oh Fransson for the Mod Mosaic. Finally, I put together a fun pouch this week as well. 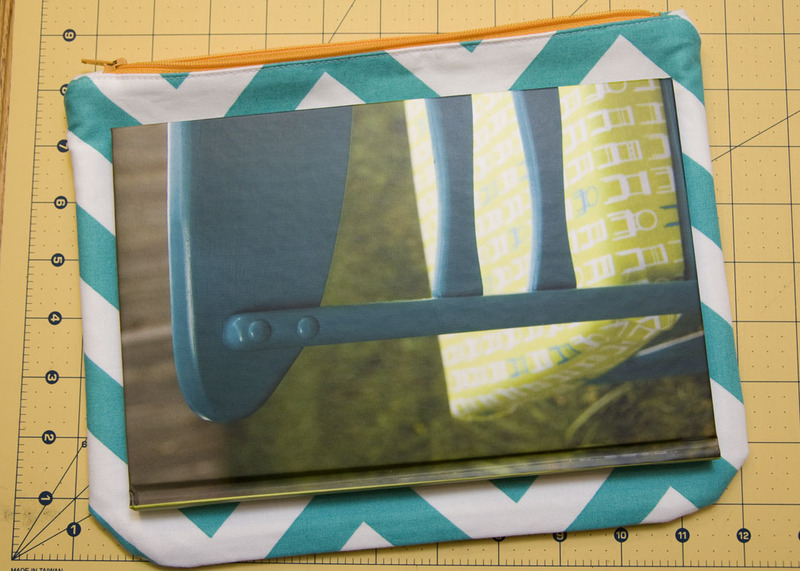 The idea was to make a pouch that fits my new notebook I had printed recently. I planned the size perfectly, but unfortunately the zipper is just a touch too small, and it doesn't fit. I was a little sad about that. Back to the drawing board. It would fit just fine if I could squeeze it past the too-short zipper. I'll still use it for another purpose. 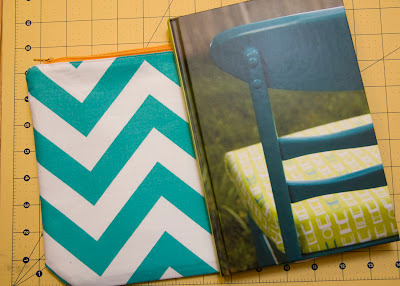 I love the chevrons and the orange zipper. This is one of the stacks of fabric I was waiting on. It arrived, and I can't wait to start cutting. Some fabulous solids from Art Gallery! 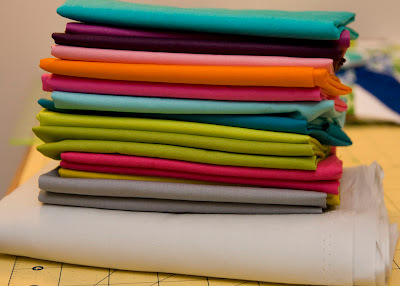 Yay on all the bee blocks, boo to the too short zip, and have fun with that yummy looking stack! i am loving your mod mosaic block. very nice! Love the blocks! the zippered pouch is really cute...when I am making a pouch and have the wrong size zipper,add fabric to the ends of the zipper and that will help fill in the gap... found that on a blog,but don't remember which one. You do great work!! The pouch is so fun with that orange zipper. Great color combo!!! I'm sure you'll find a good use for it!! Cute blocks too. Great bees! The blocks are lovely. The zip bag is fabulous. Thanks for sharing! Loving your blocks; and what a pain about the zipper! The green and blue block is my favourite too but then I`m a sucker for blue and green. All your blocks are beauties. Look forward to seeing what you do with that stack of loveliness. I love your note book holder! 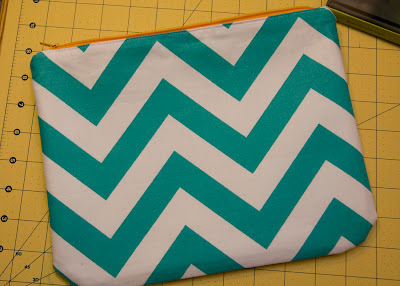 That teal chevron fabric with the orange zipper, great color combo. Sorry about the zipper being too short! Totally feel your pain on the too-short zipper. LOVE all your bee blocks!! 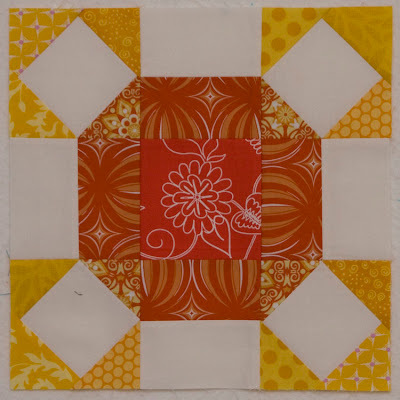 The bee blocks are lovely, thanks for sharing. Too bad on the zipper but it will be a useful pouch for an other item. Beautiful blocks!!!!!! The Art Gallery looks just so yummy! Cannot wait to see what you are making with those beautiful colors!